Mona De Bo is from Latvia of all places and was formed in 2005. They started off as a duo consisting of guitarist Edgars Rubenis and drummer Edgars Eihmanis and played garage/indie rock for their self-titled 2008 debut. They have since expanded their line-up and changed their style dramatically for their follow up album 'Nekavējies, Šīs Ir Spēles Ar Tevi' ('Don't Hesitate, You're Already Part of It') which was released on March 12 of this year. The new line-up now includes an organ, French horn, trombone and a double bass. The extra instrumentation also comes with a style change and they definitely have made a change for the better. Their new style has them being compared to Drone legends "Earth," though for the most part they resemble the Hex-era Earth more so than the Special Frequency Version (minus the Americana influence.) I'm really digging the blend of the horns with the droning guitars, it gives the tracks an orchestral, classical feel that helps separate them from all the other Earth & Sunn O))) clones. They manage to forge their own voice that is lush, subtle, dynamic and beautiful. This album and their garage rock debut are both available for free download on their site. I HIGHLY recommend this album. 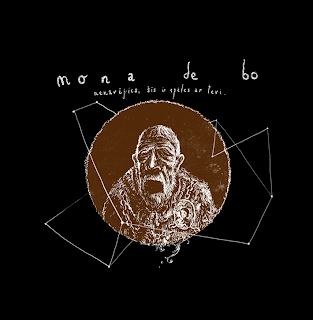 "Mona De Bo is a Latvian band playing a blend of slowcore, drone, and free-noise rock. The band was started as a guitar and drums in Rīga, Latvia in 2005. The band released its self-titled debut LP in 2008. It comprised 10 songs in Latvian delivered in a garage/experimental manner. The band's second album 'Nekavējies, Šīs ir Spēles Ar Tevi' (Don't Hesitate, You're Already Part of It') was written and recorded during the summer 2009. It exhibits a strong departure from their early garage rock sound as the music has become much slower in tempos and thicker in tones. The band decided not to restrict themselves to their usual guitar/vocals/drums set-up and to try a different instrumentation instead: the densely orchestrated sound was achieved by the addition of an organ, another guitar, trombone, french horn, and double bass. Stylistically 'Nekavējies.' 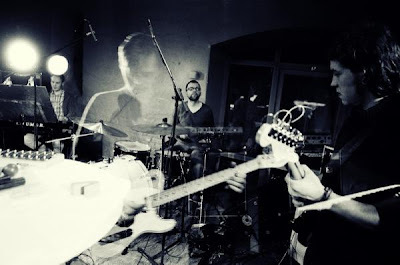 pays homage to the drone-doom of Earth and Sunn O))) and blends it with occasional free-jazz drumming and noise assaults evoking Sonic Youth and My Bloody Valentine."